Your home’s windows are a view to the outside world and they also protect you from weather elements like wind, rain and snow. As that measure of protection, your windows block you from harsh temperatures of the searing heat and the frigid cold and as a result they take a beating and need cleaning. Dirt, grime from leaves blowing, dust particles, defecation from animals and a host of other materials all stain your windows over time and reduce your ability to see the outside world. Naperville Gutter Pros has the window cleaning and power washing skills and state of the art equipment to give your windows a detailed cleaning to keep your home looking its best. We take away the grime so the sun can shine clear and bright into your home. Naperville Gutter Pros has the techniques your looking for to clean your windows and restore them back to their former clear dirt free state. As a benefit you can prevent dirt and debris from rendering your glass hazy. Wind picking up debris can easily lift off and launch through the air causing scratches and scuffs that eventually make it challenging to see and enjoy your outside surroundings. Our method of cleaning is top rated in the region and we use eco friendly products that do no harm to the environment. You will end up with no streaks and we pay close attention to detail so that you don’t have to go behind our window cleaning techniques to clean up dirt and streaks they misses. If you have hard to reach ceiling to floor windows or high ceilings with glass above your entry door these are often difficult places to reach without the proper equipment like ladders. Climbing to the top is precarious and if you don’t have assistance, you could easily be on your way to the hospital emergency room from a bad slip and fall. But there is no need to put yourself in jeopardy when you can simply call on our window cleaning expertise to get the job done fast and efficient. As a commercial business, we are fully licensed, bonded and insured to provide you with superior care so that you don’t endanger your home and we take excellent care of your property. 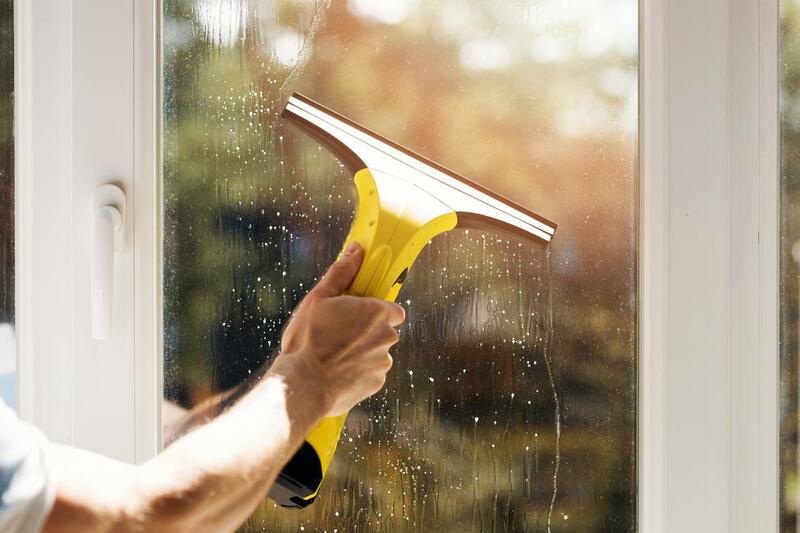 Whether you have 30 windows or less or even 100, you don’t have to waste time finding the right eco friendly cleaning solution that doesn’t leave streaks on your windows. You don’t need to figure out vinegar to water ratios or wonder if ammonia burns your eyes. We use power washing and window-cleaning procedures that save you time so that you can concentrate on other matters in your life. Professional window cleaning is the perfect strategy for saving you time and it’s an efficient measure that guarantees you will have sparkling windows that the sun can stream through clearly. Naperville Gutter Pros is a professional window cleaning and power washing service that provides exceptional care and attention to detail whether you have tiny windows or tall hard to reach up-to-the-ceiling glass. Our methods save you time and our prices are affordable. We also have packages you can select from to determine the appropriate amount of cleaning yearly and monthly that you need.